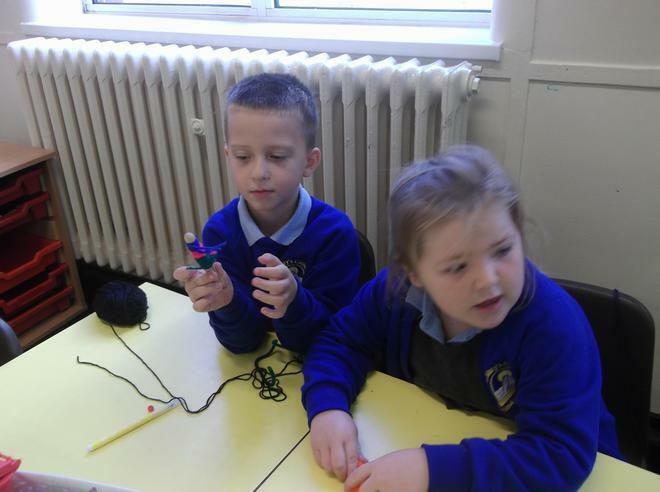 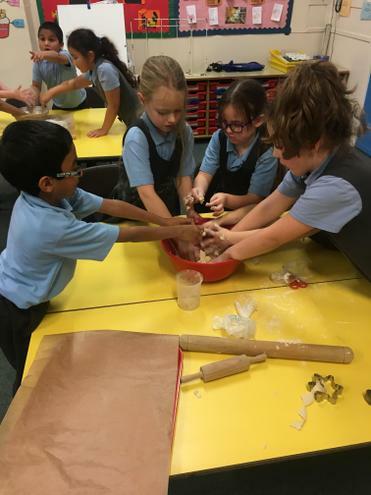 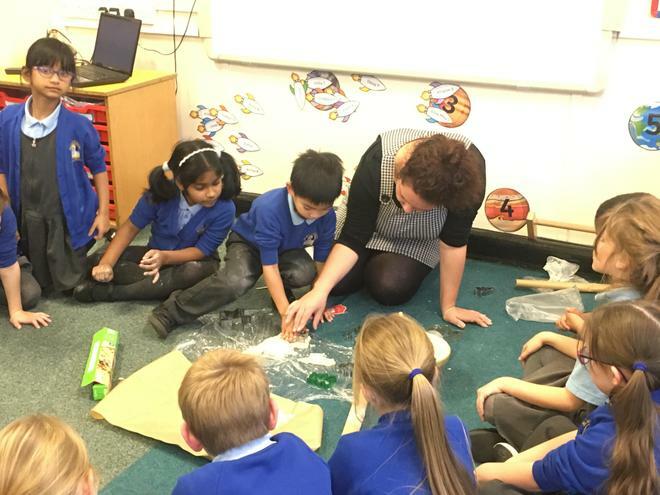 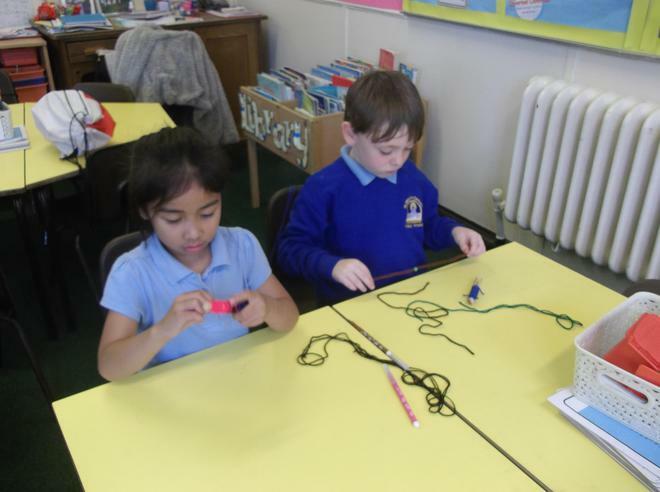 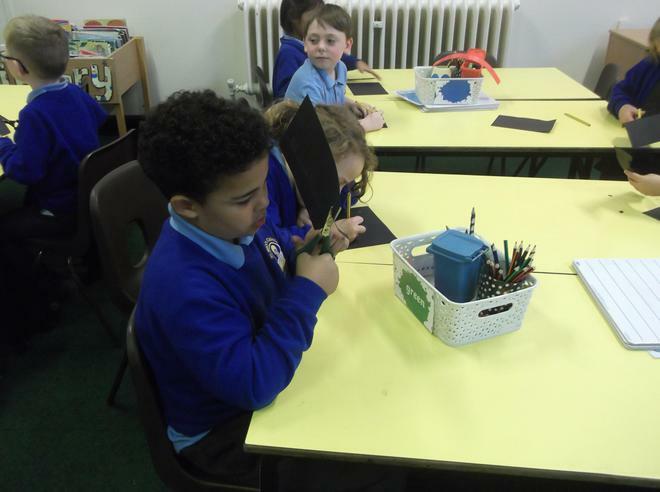 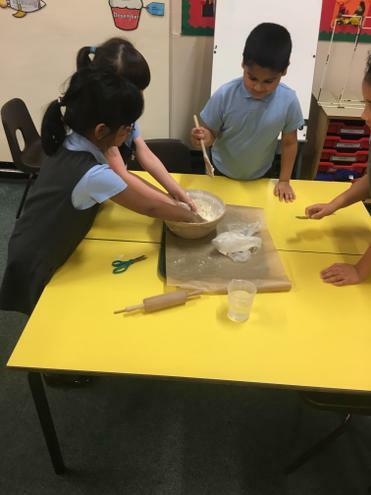 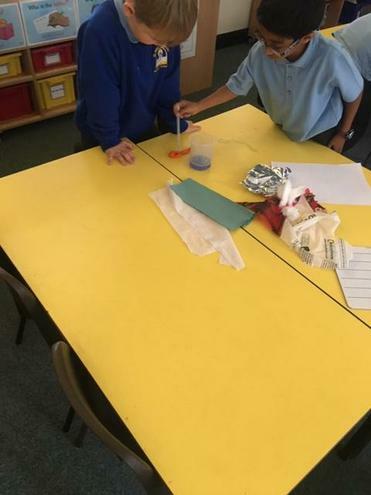 In 2 T we have been experimenting with mixing materials. 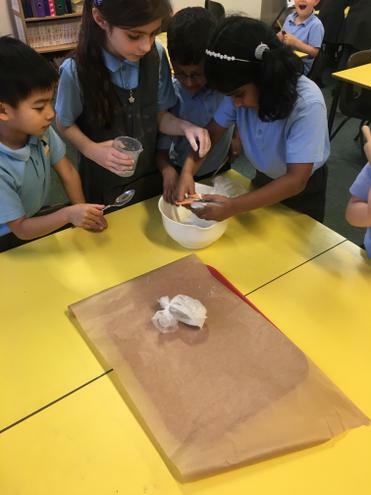 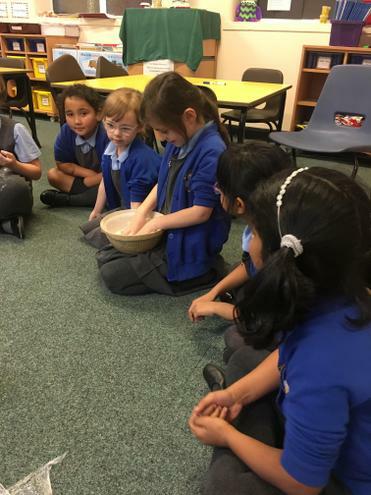 We looked at mixing salt, flour and water and we had a few guesses. 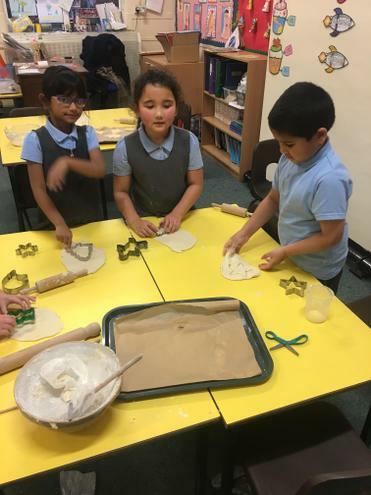 Nobody could believe that it made dough. 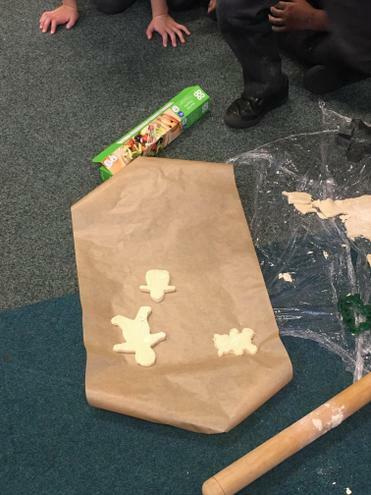 We decided to make some decorations ready for December. 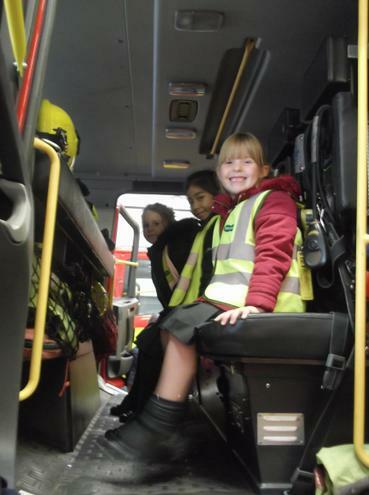 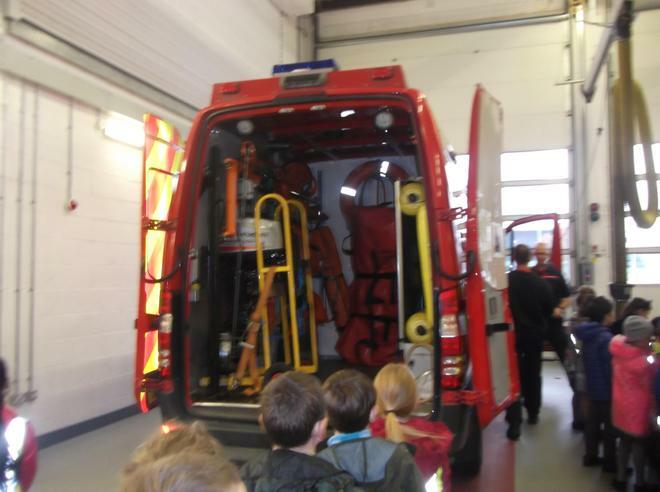 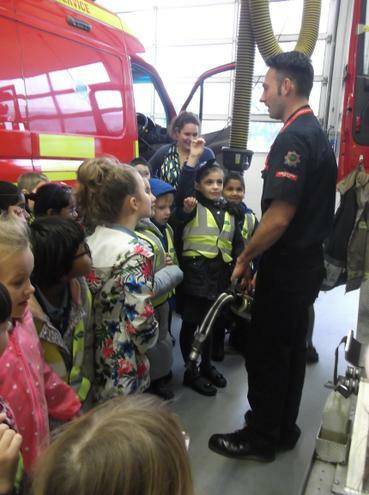 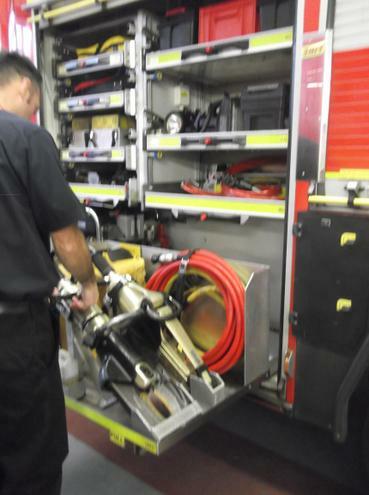 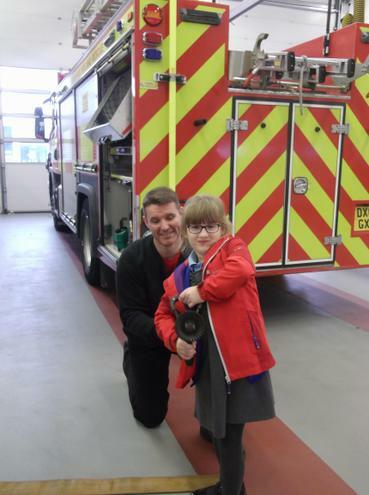 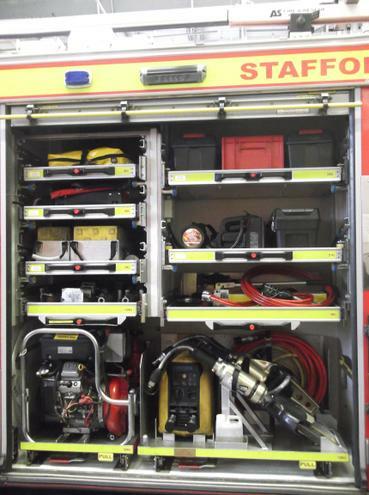 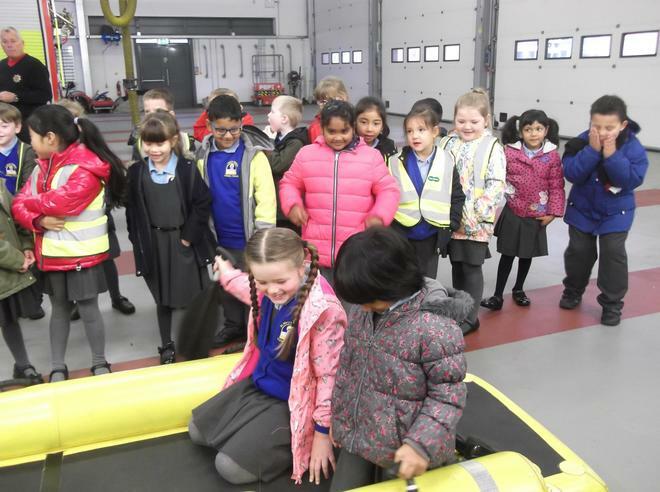 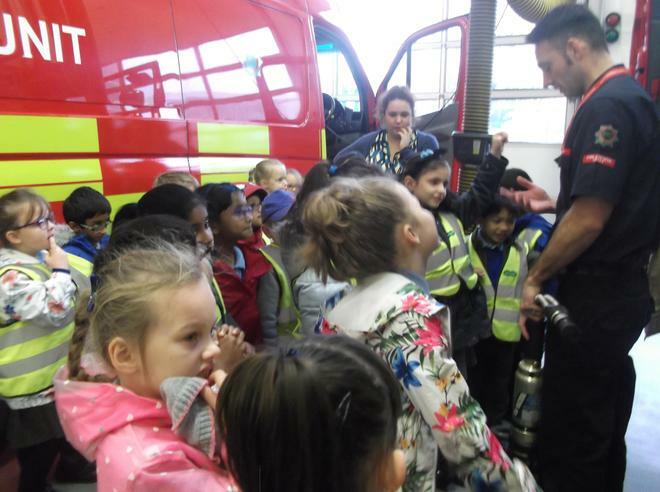 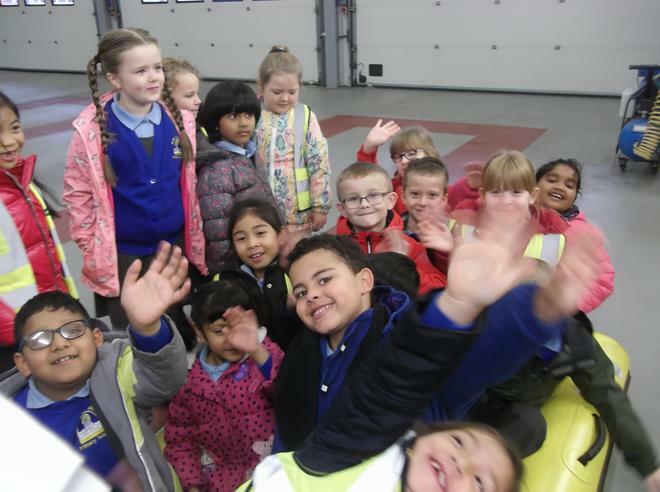 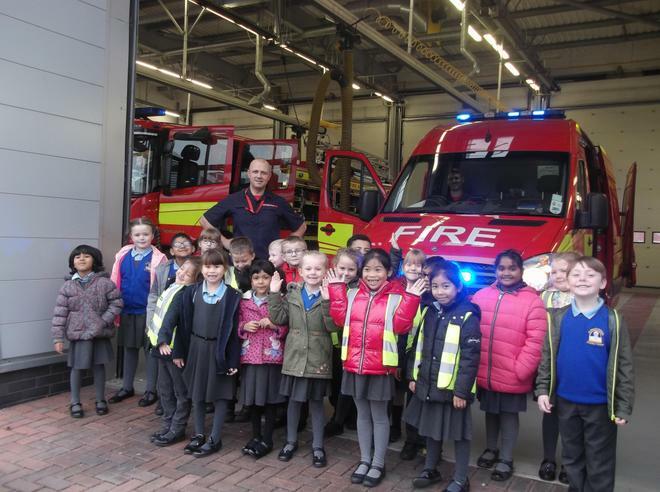 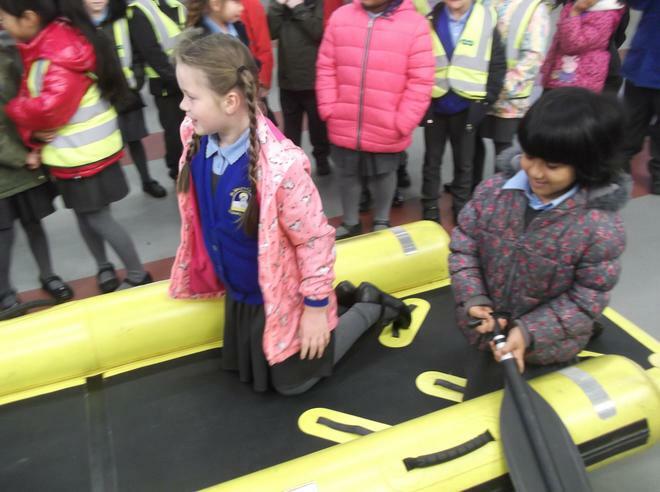 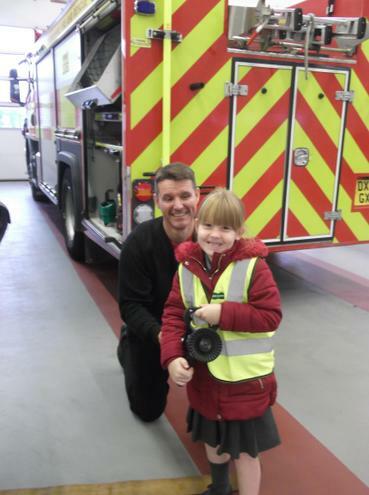 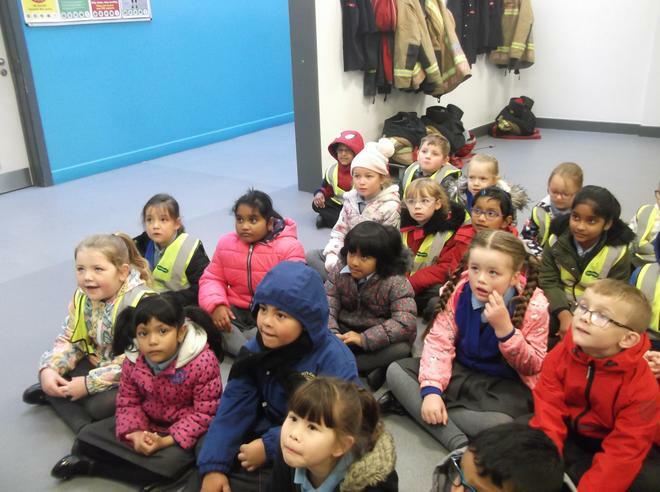 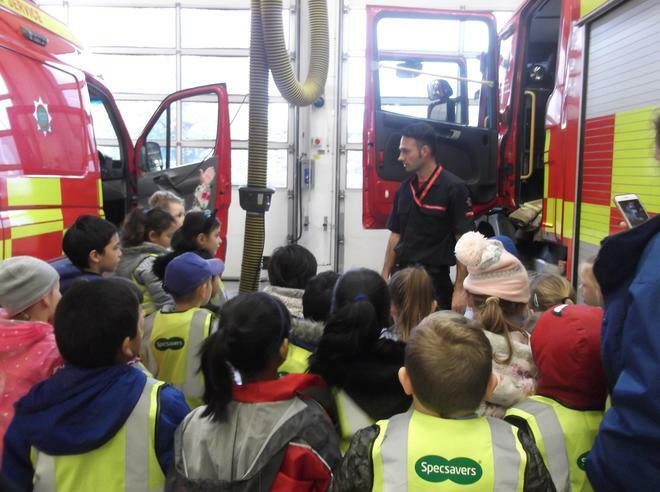 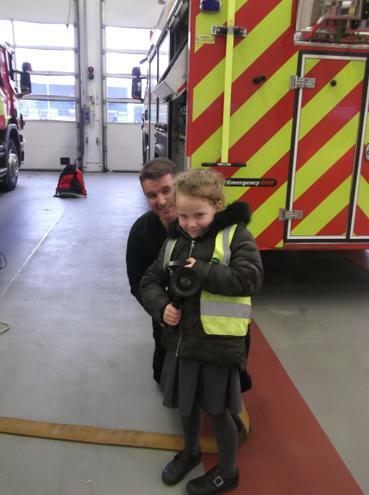 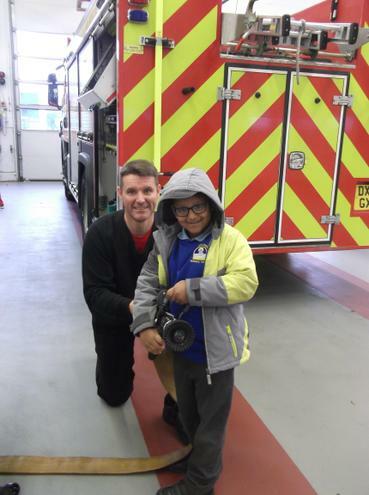 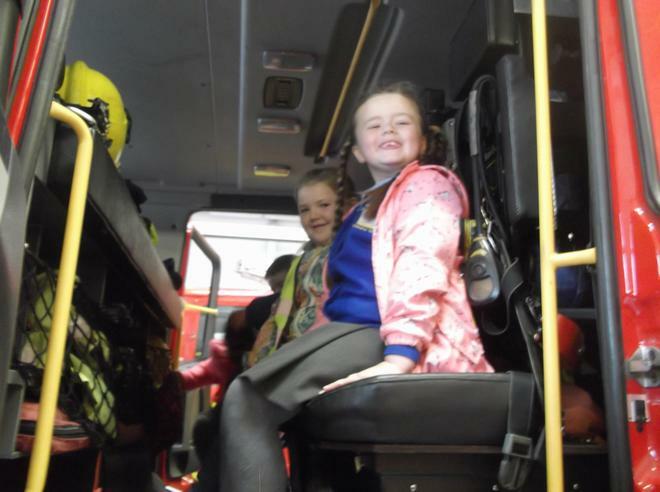 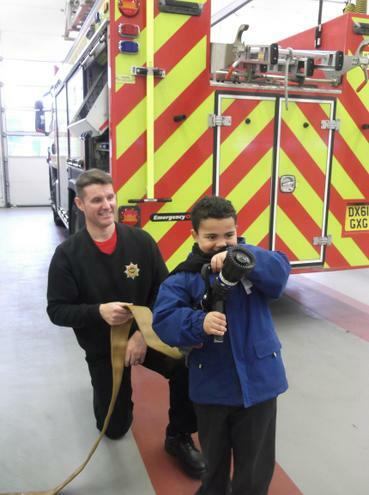 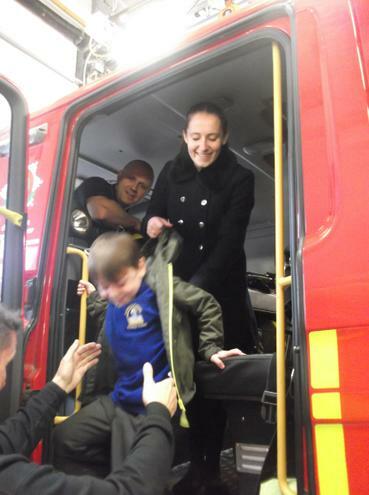 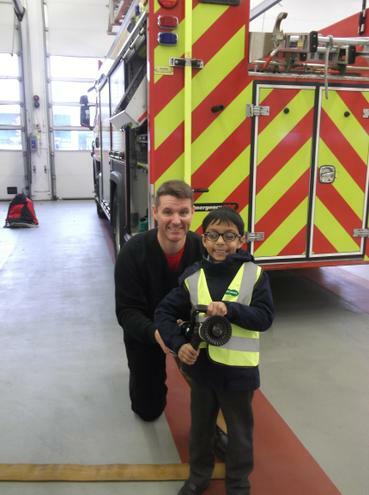 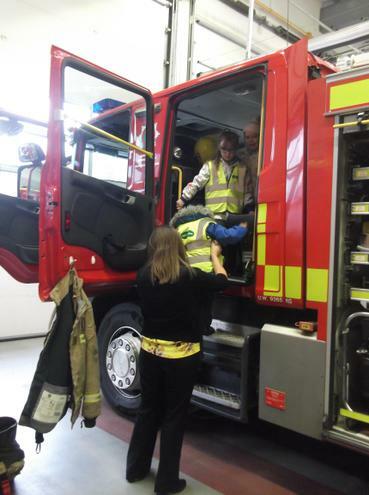 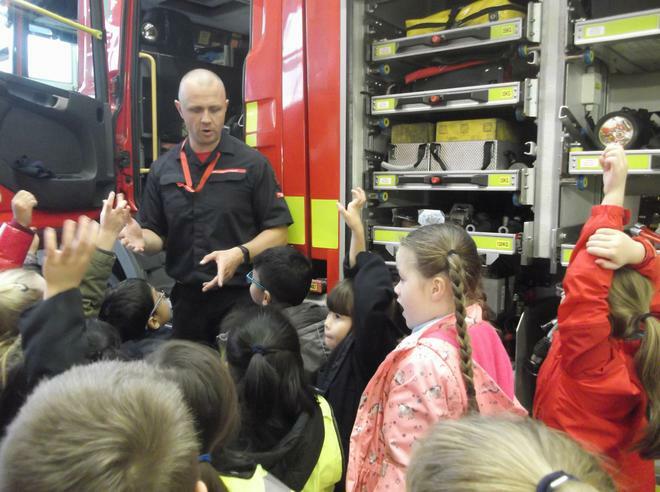 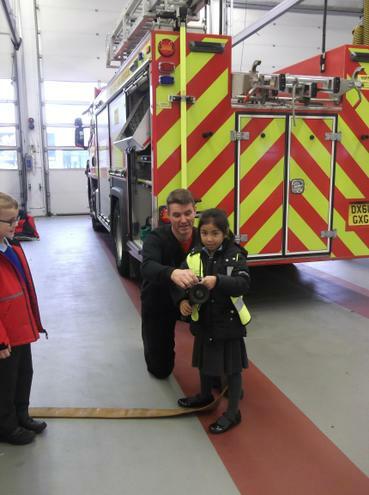 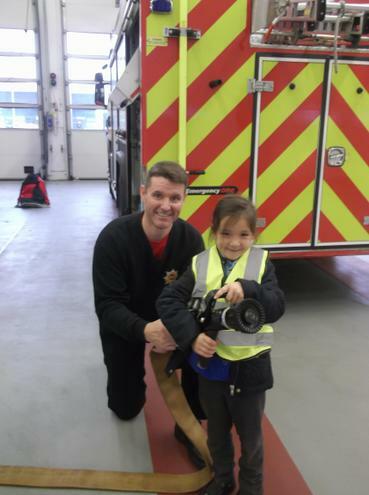 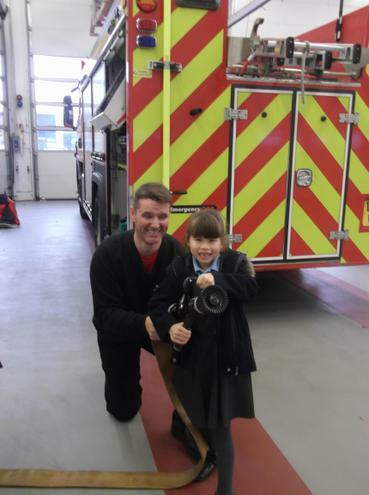 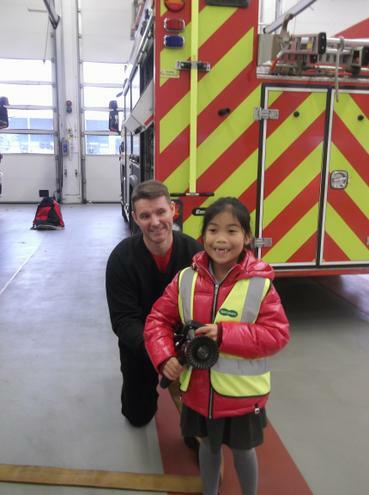 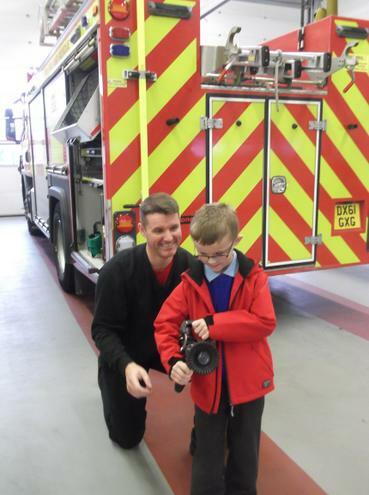 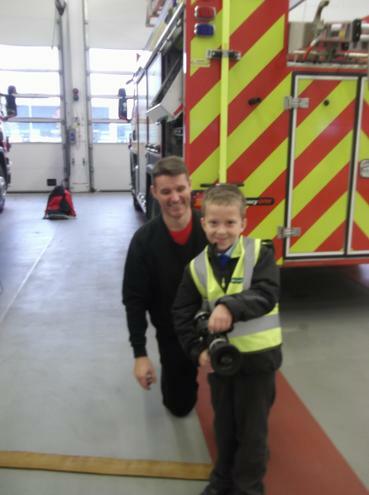 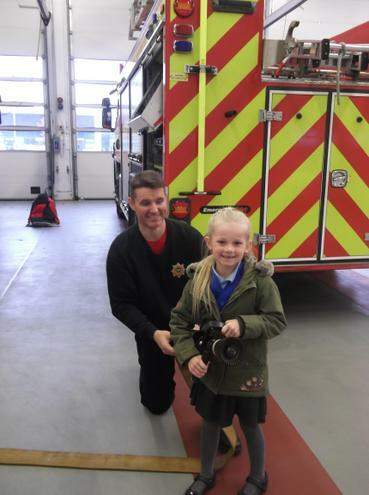 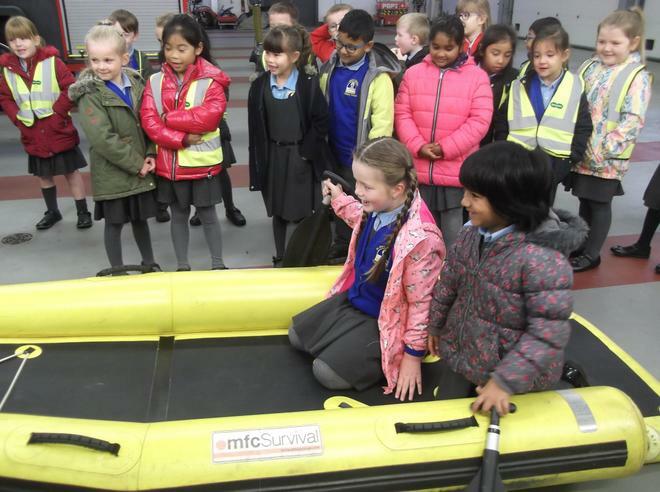 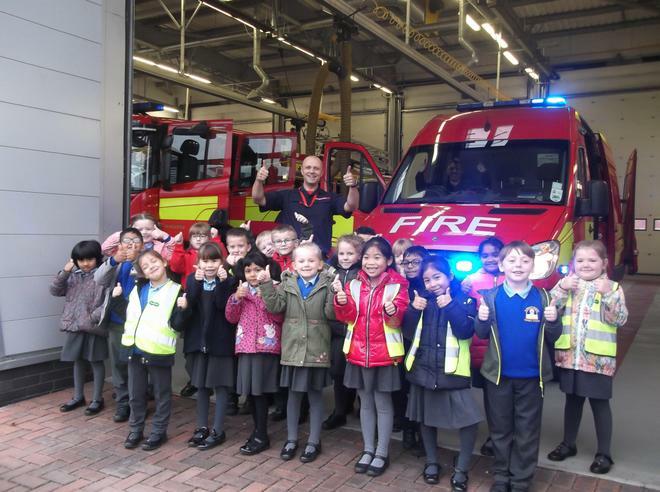 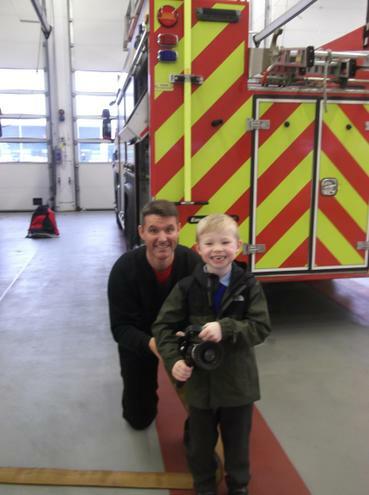 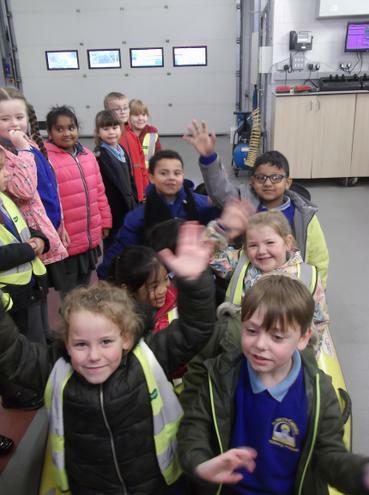 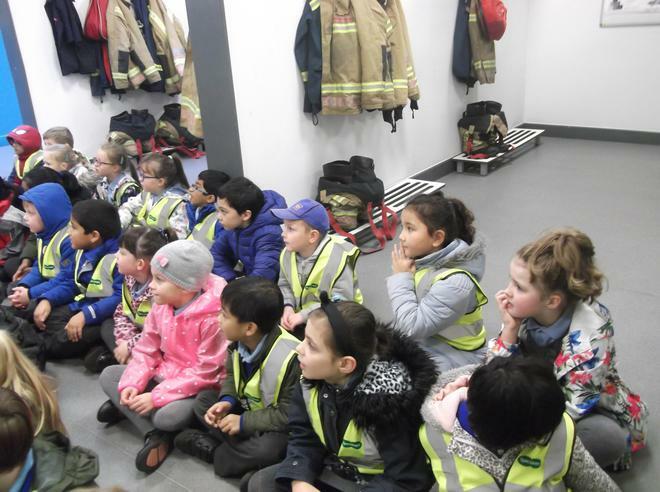 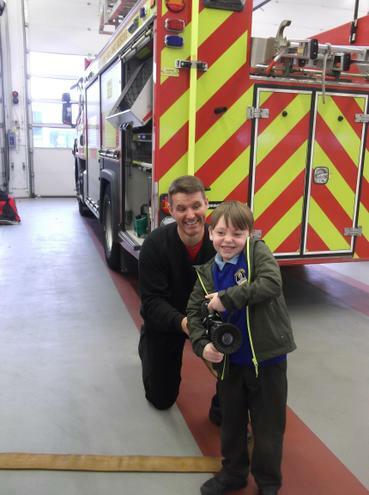 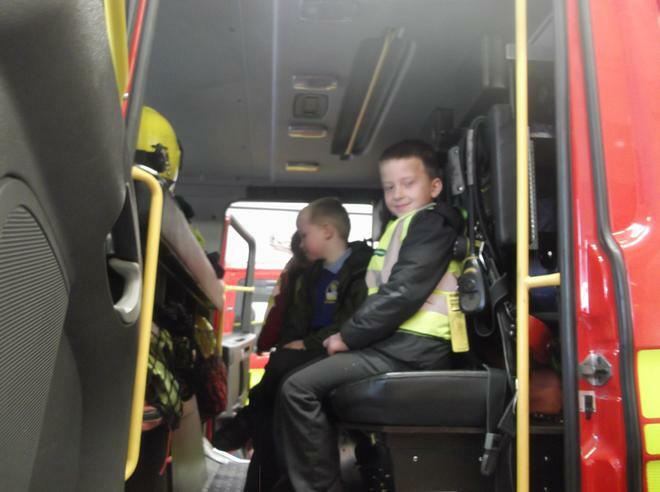 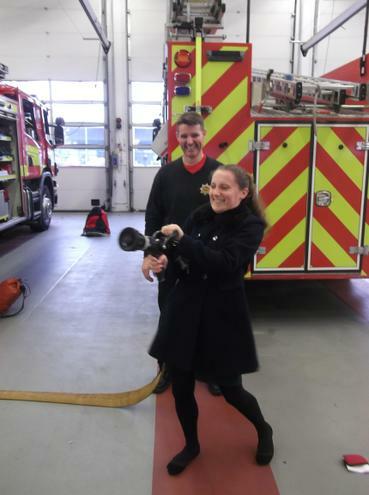 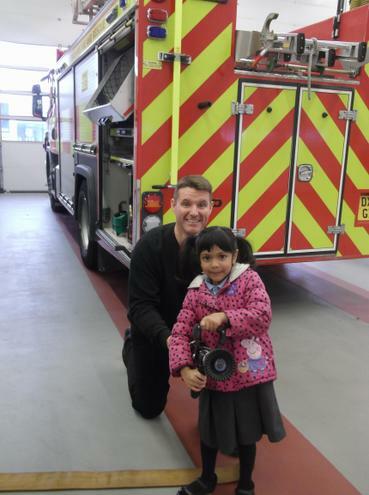 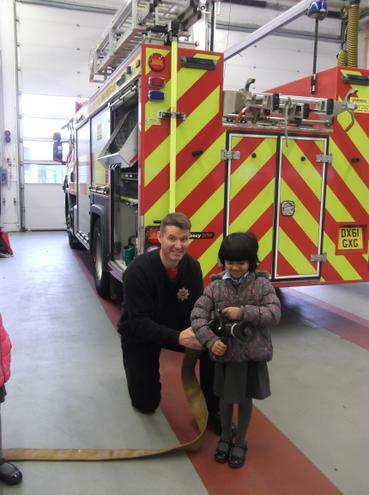 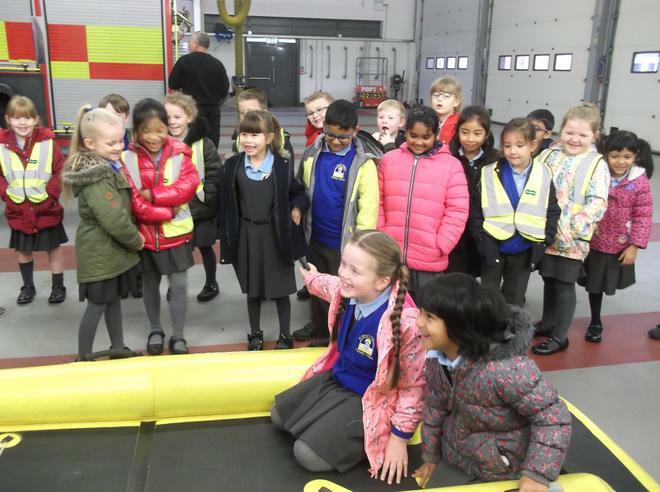 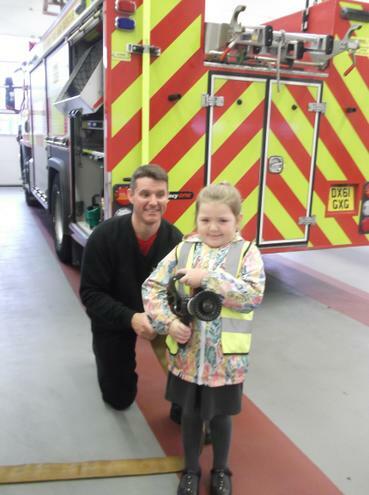 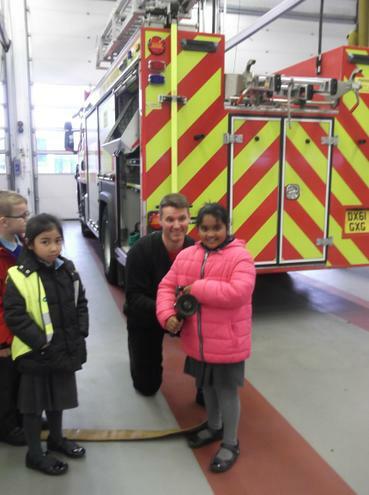 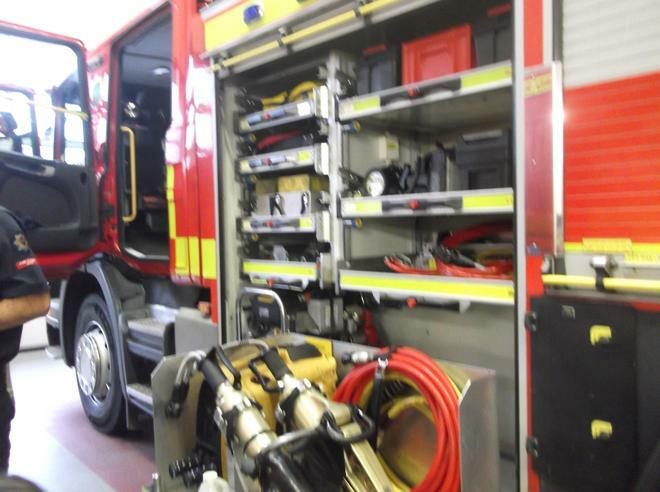 This morning Year 2 visited Newcastle Fire Station linked to our topic 'The Great Fire of London.' 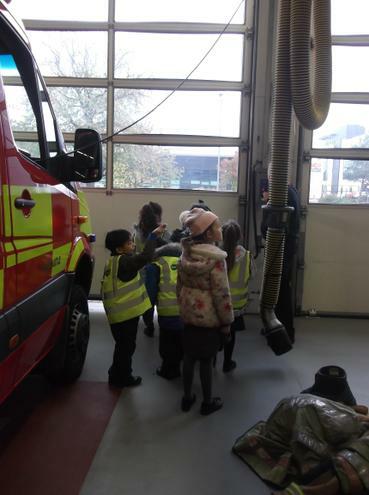 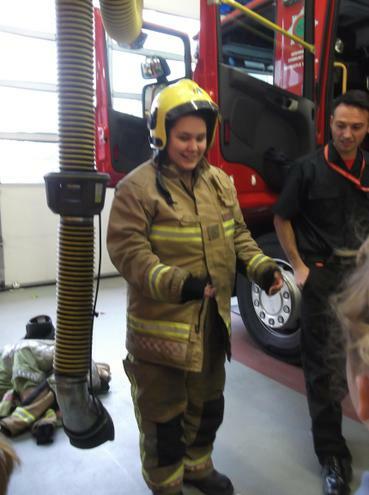 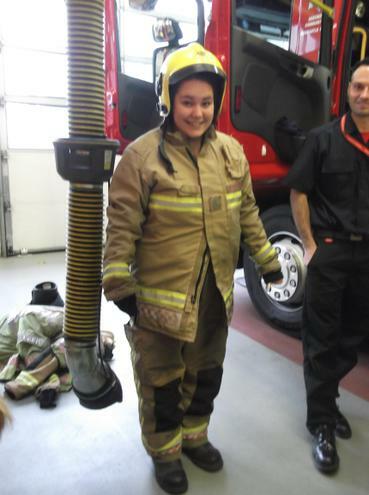 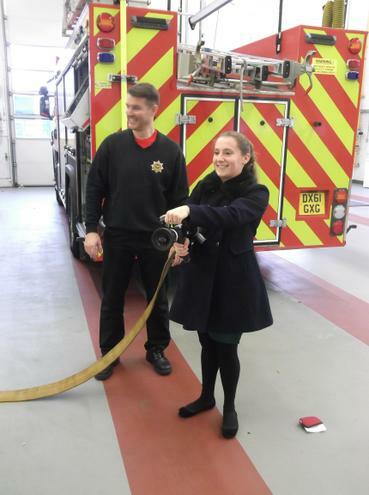 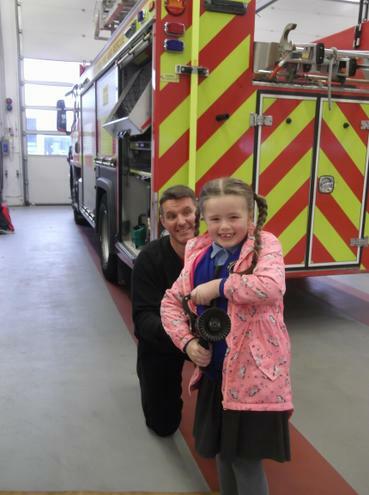 We had a great morning learning all about how the fire service has changed since 1666, we looked at all the equipment used and Miss Thomas even got to dress as a fireman! 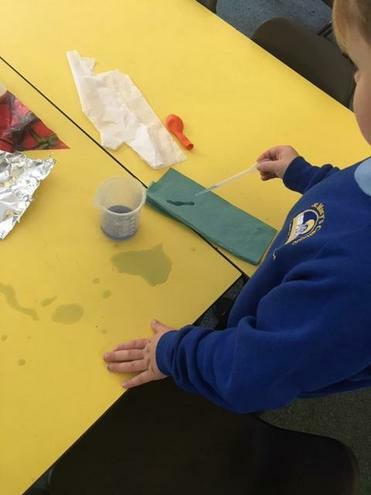 We have been looking at the best material to use for a nappy. 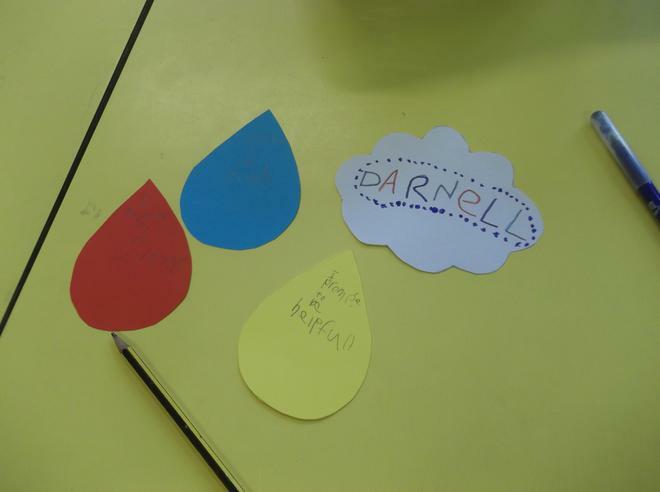 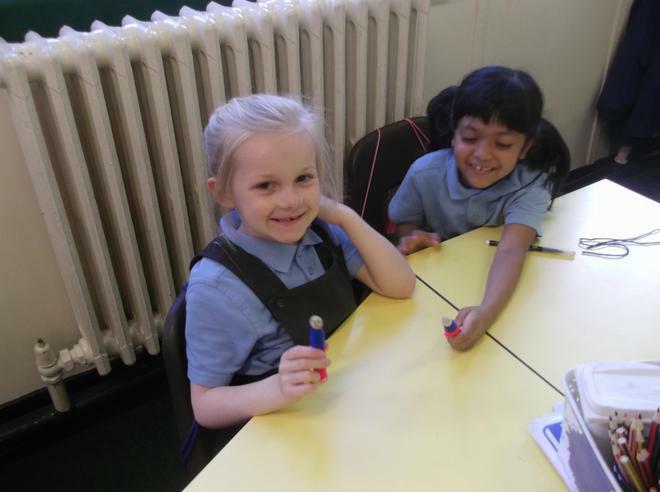 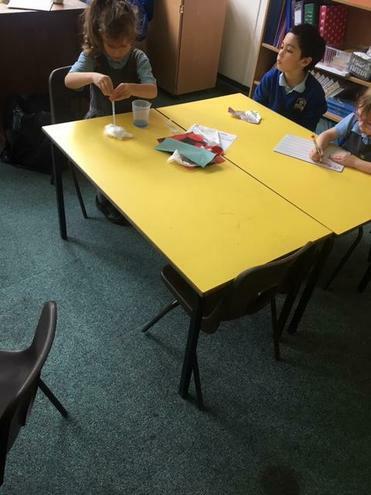 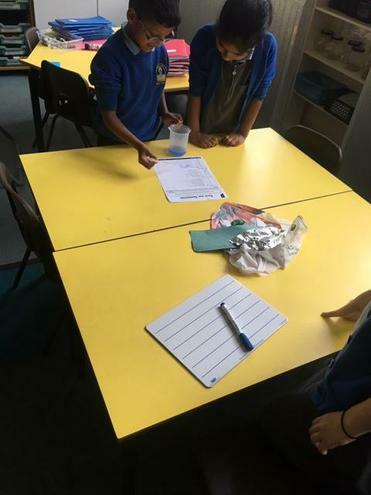 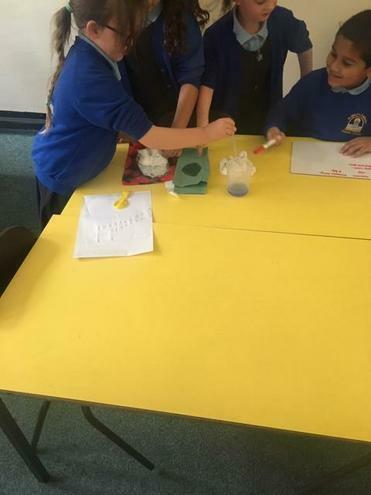 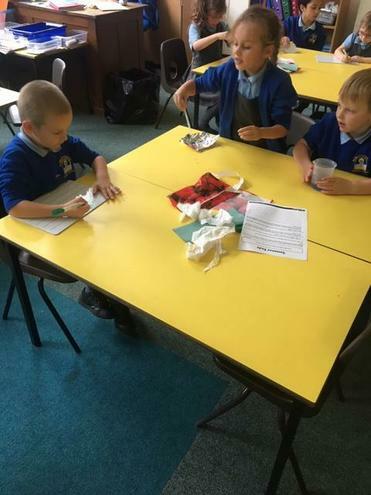 The children had a lovely time testing a range of materials to work out which one would be the most absorbent. 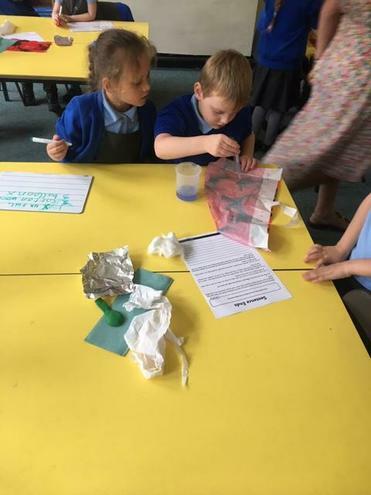 We decided that cotton wool would be the best material to make a nappy, because it is the most absorbent. 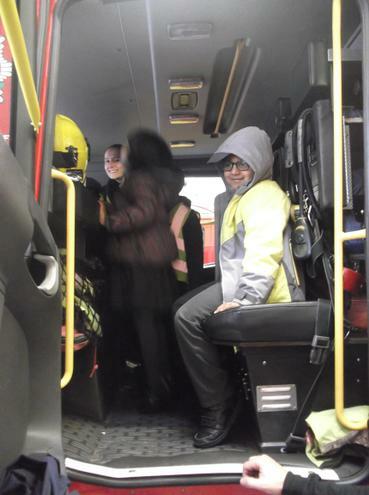 It is also nice and warm for the baby. 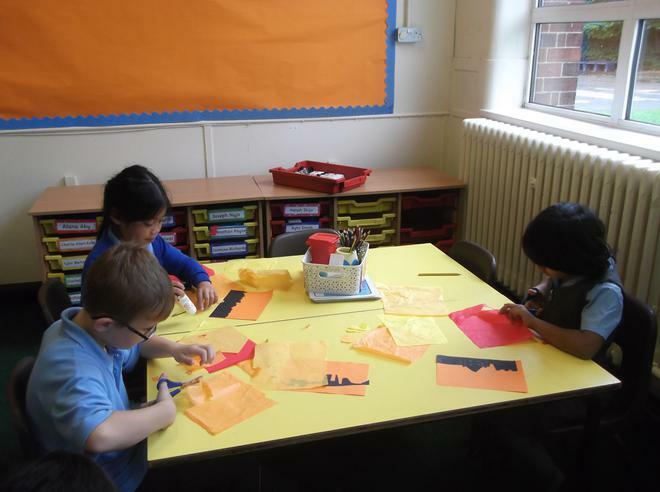 Today we have been thinking about the story of Noah's Ark. 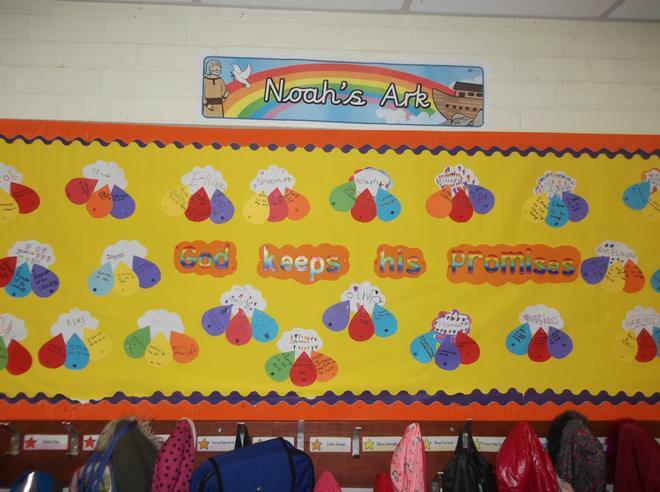 This story teaches us that God always keeps his promises. 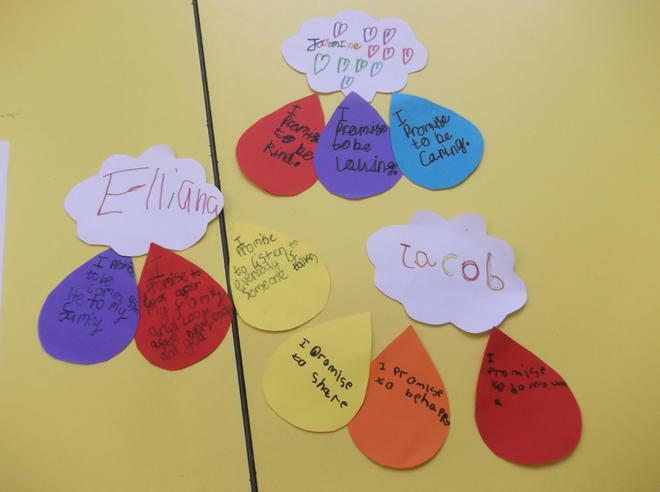 We made three promises of our own and made them into a class display. 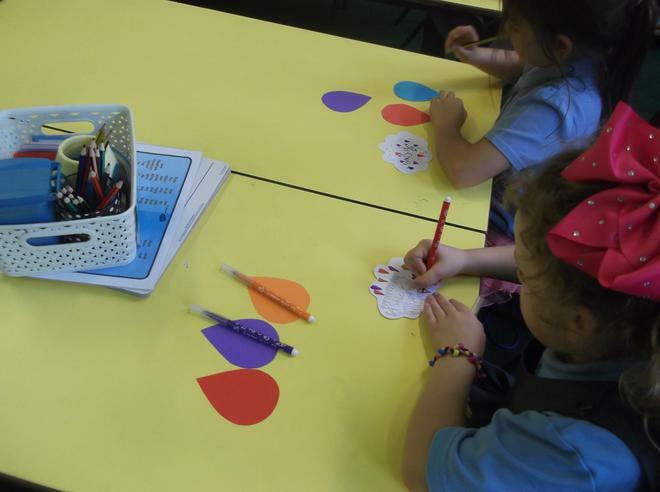 This week we are celebrating the blessed sacrament festival. 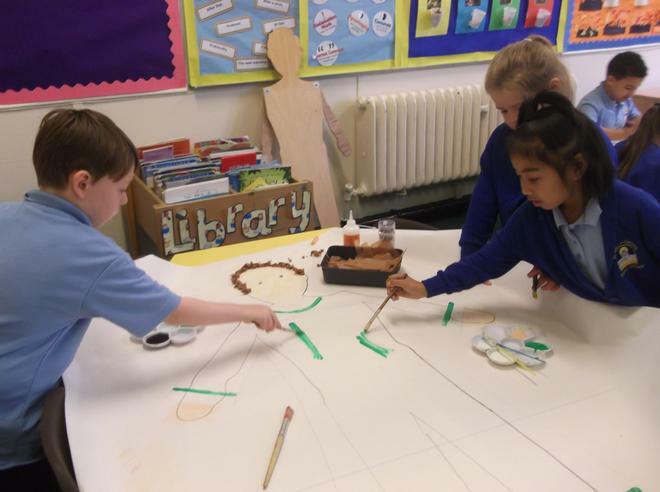 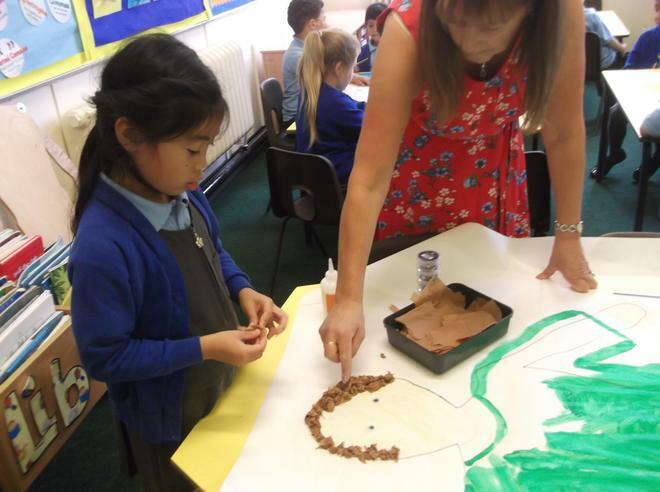 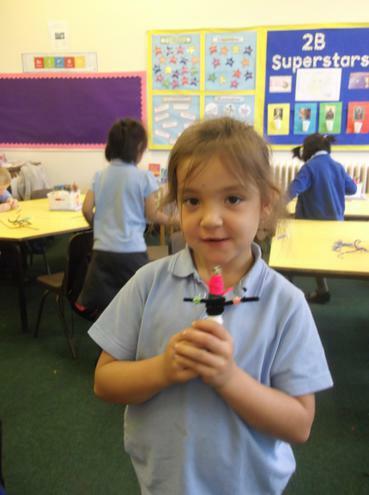 KS1 were asked to make priests to decorate the chapel. 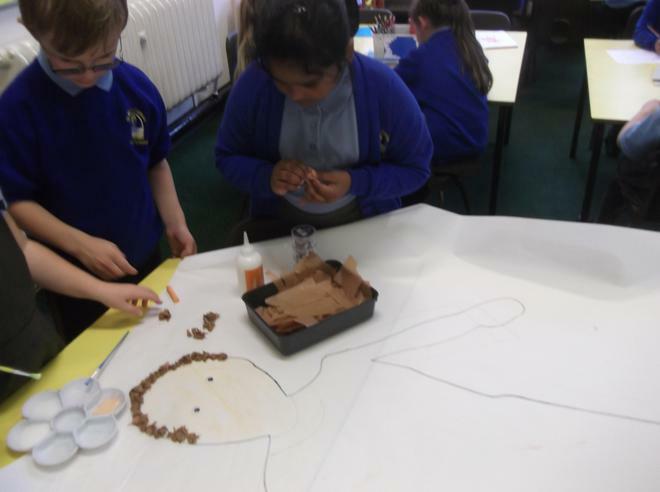 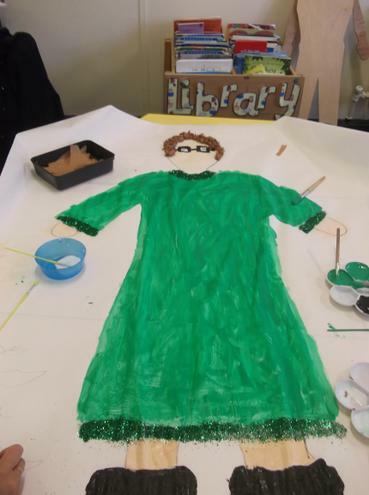 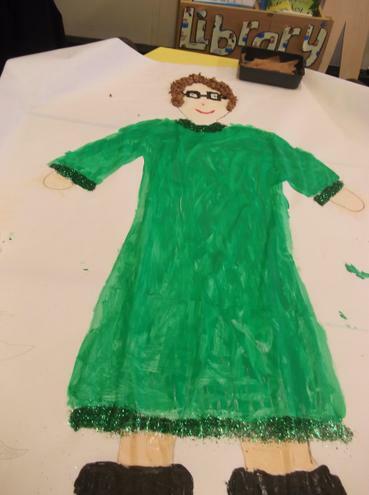 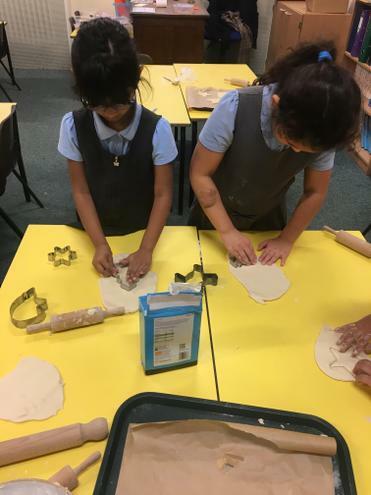 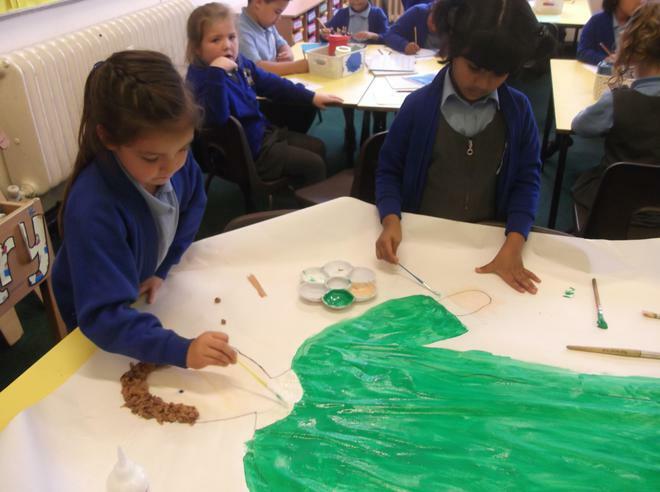 2B have made their own version of Father Paul. 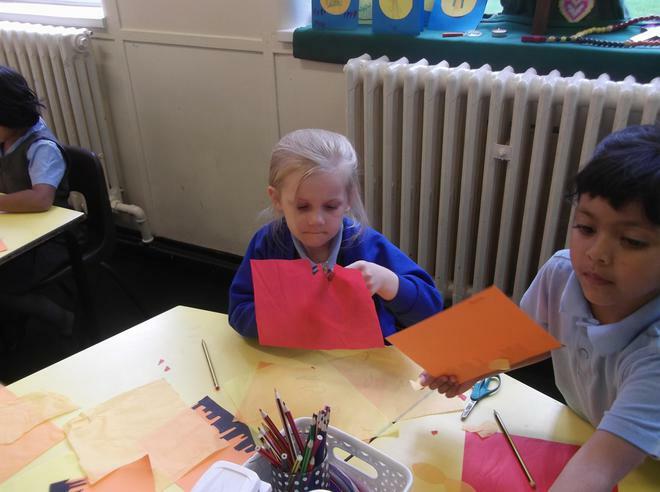 We also made thank you cards for Father Paul for all the things he does for our community and wrote prayers for vocations. 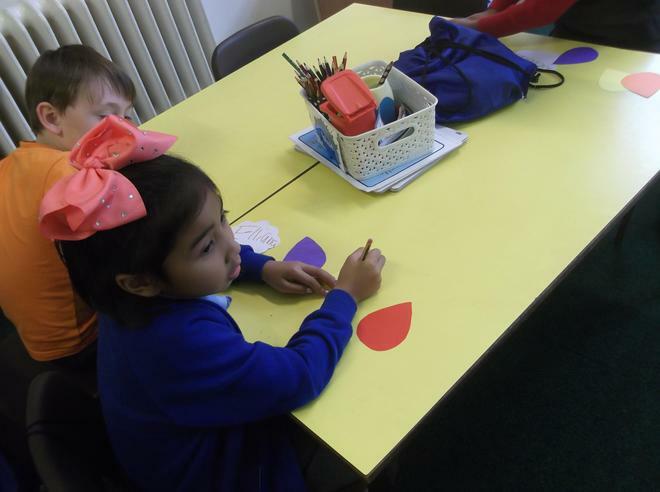 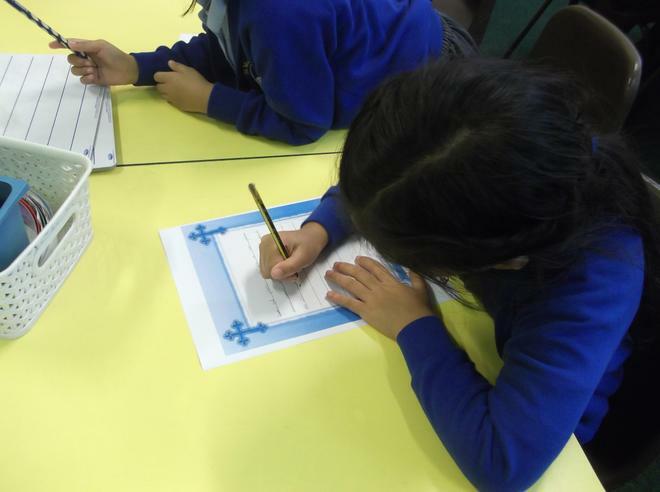 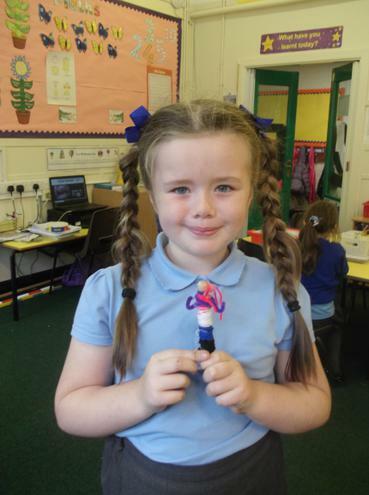 In literacy we have been reading 'Silly Billy'. 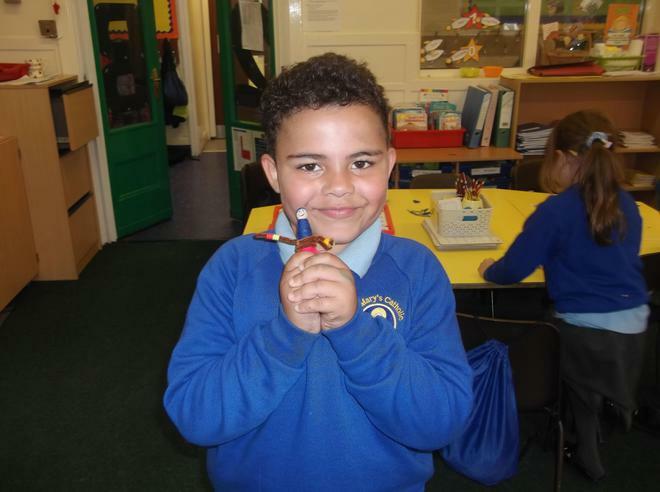 Silly Billy is all about a little boy who has lots of worries. 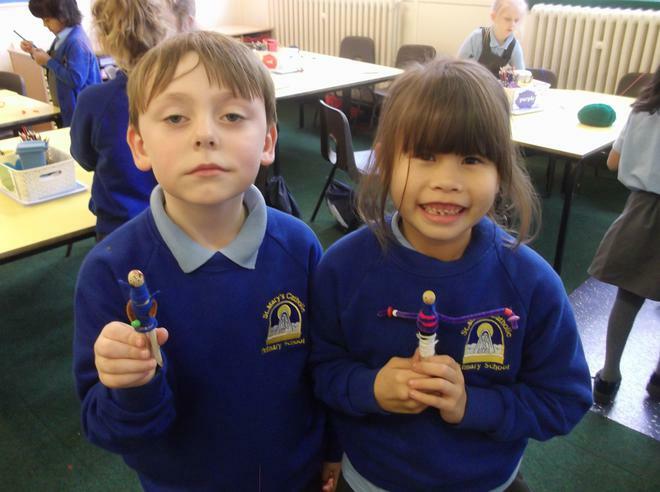 Billy's Grandma has the clever idea of getting him some worry dolls that he can share all his worries with. 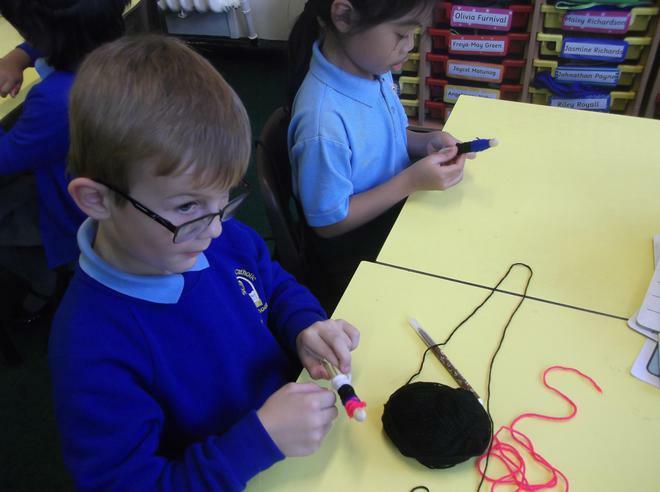 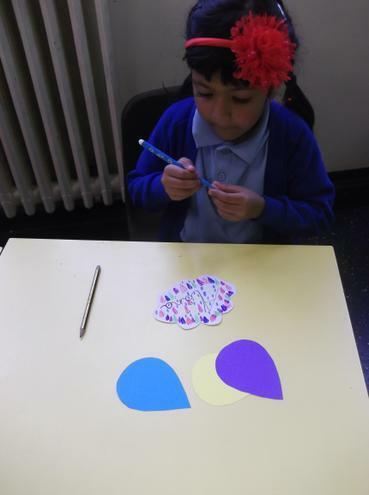 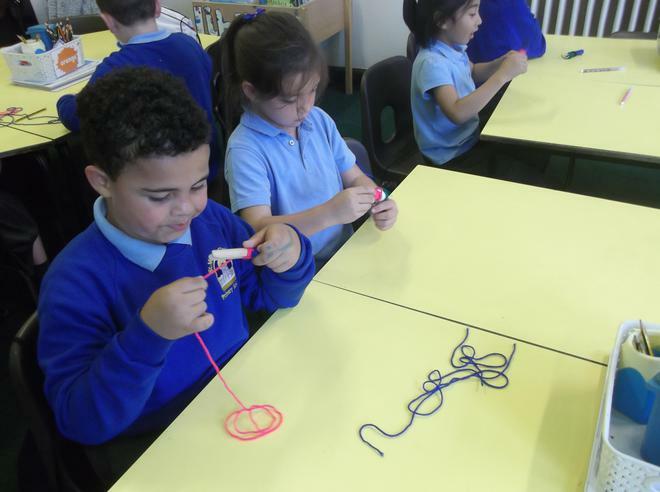 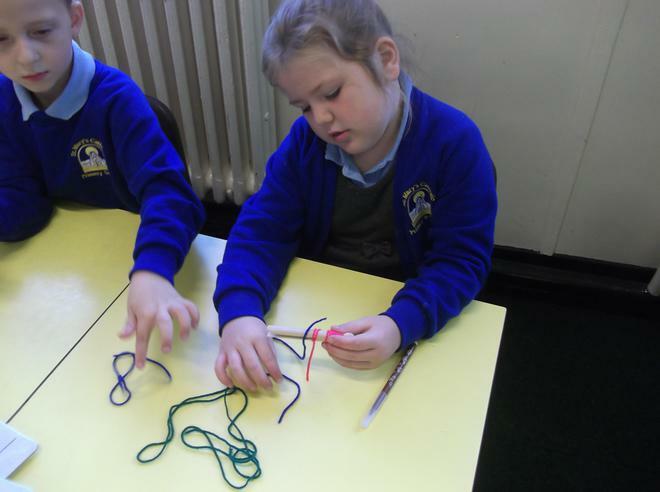 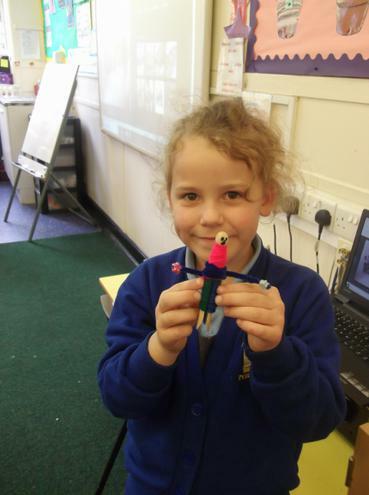 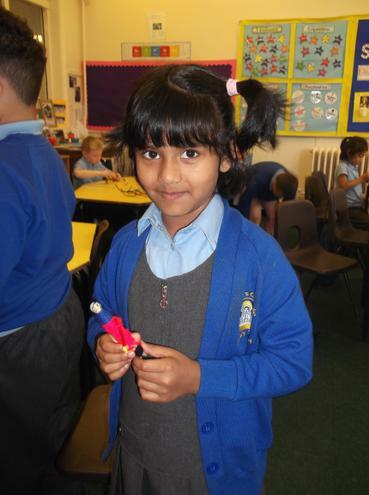 This afternoon, we have had a go at making our very own worry dolls to take home! 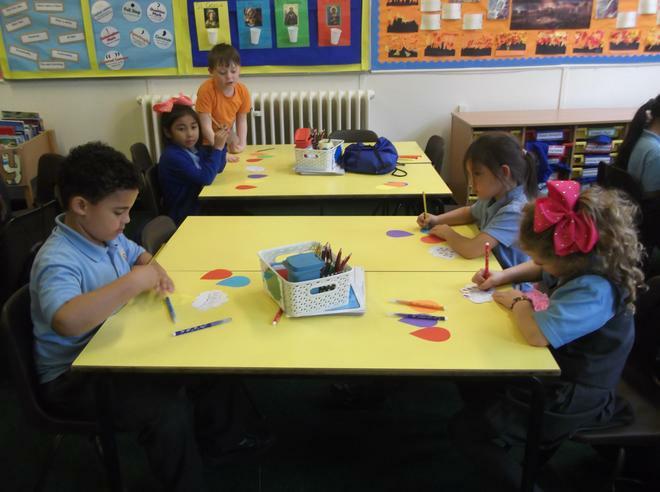 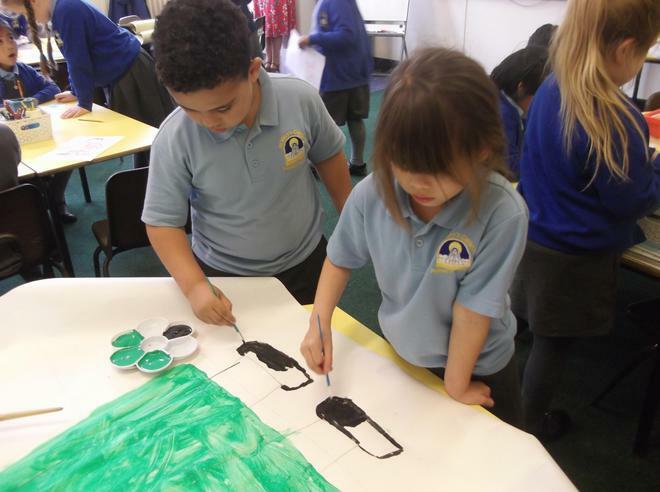 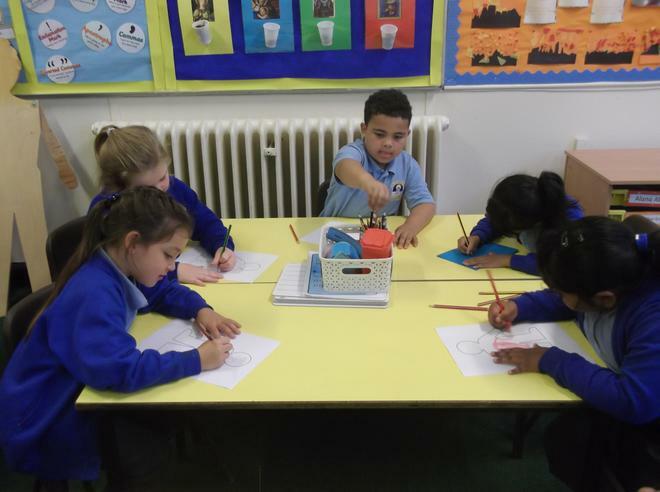 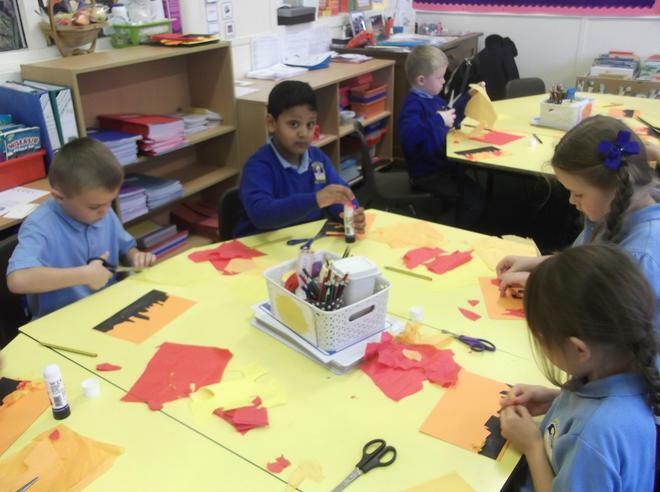 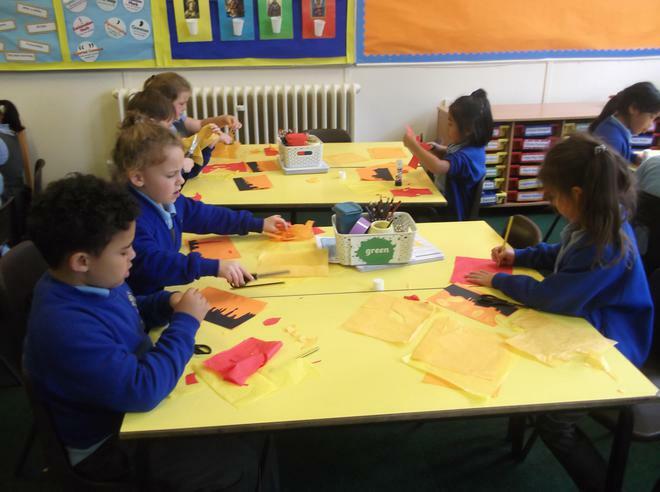 We have all been enjoying our Creative Curriculum topic - The Great Fire of London. 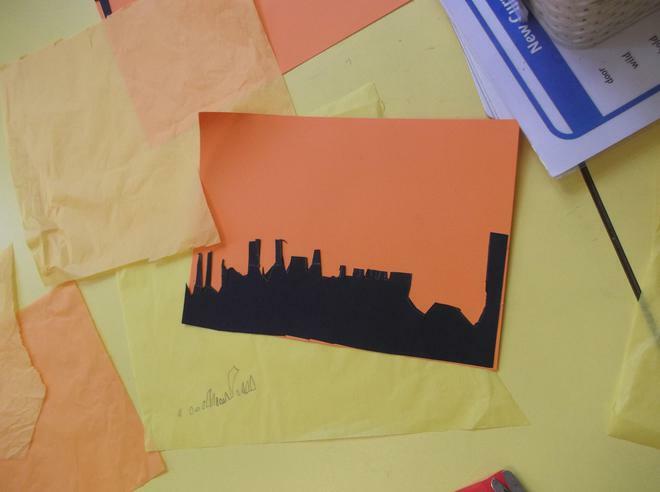 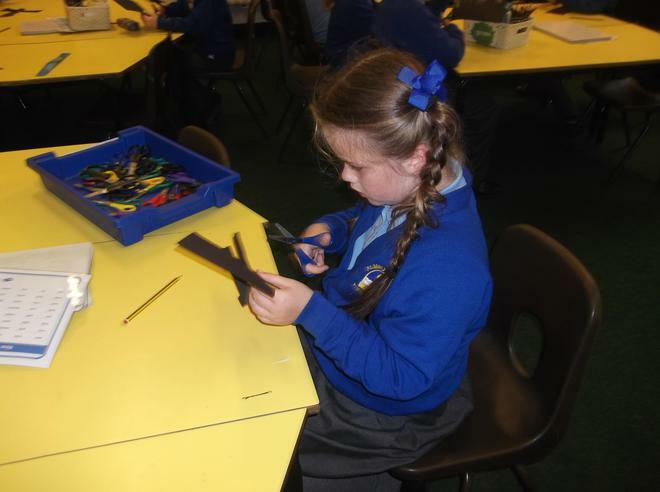 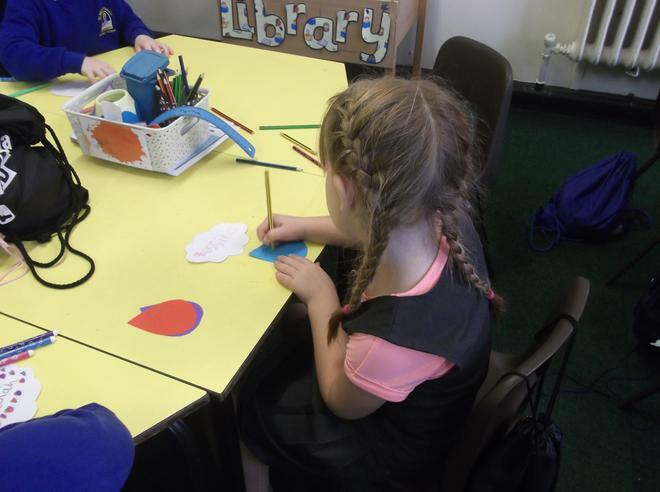 This week we have made silhouette artwork depicting the night of the fire.